Grab your sun hat, it’s time to hit the blueberry fields. Of all the pick-your-own fruit available throughout the Catskills, blueberries are the easiest: They grow at waist height, so you don’t have to squat or climb; there aren’t any thorns; and freezing them for pancakes or muffins in the dead of winter couldn’t be simpler (instructions and a favorite pie recipe below). Here are a few places in the region to dye your fingers purple this summer. Know others? Drop us a line and we’ll add them. As always with weather-dependent activities, it’s never a bad idea to call ahead to check hours and availabilty before popping a cooler in your car and heading out. A couple of other tips for newbies: many PYO farms don’t have amenities like rest rooms or refreshment stands, so bring bottled water and plan pit stops elsewhere; leave the dog at home; bring cash in small bills, your farmer will thank you. Bohringer’s Fruit Farm (open now): 3992 Route 30, Middleburgh, 518-827-5783, Schoharie County. If you’re feeling lazy, Bohringer’s also sells berries by the pint in its farm store. Raspberries are also available for sale and pick your own. 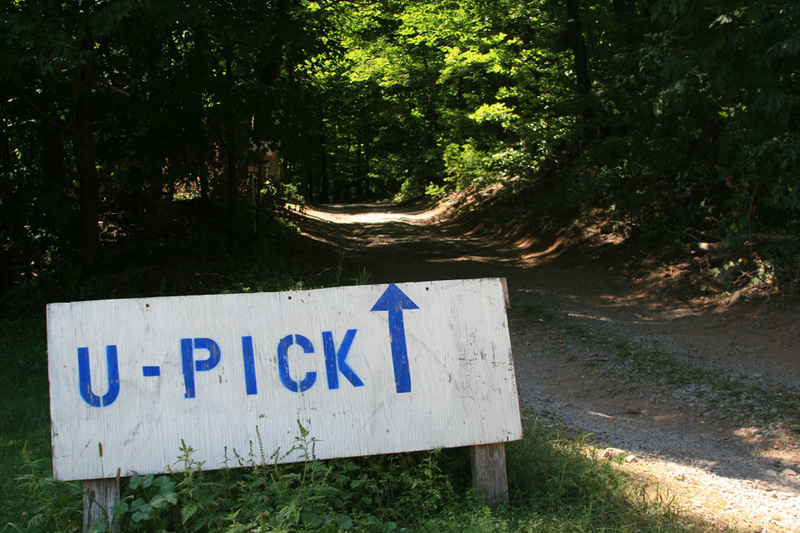 The u-pick fields are open daily from 8 a.m. to 5 p.m. and the farm store from 9 a.m. to 6 p.m.
Blue Sky Farm & Winery (opens July 17): 779 Charcoal Road, Stamford, 607-652-4712, Delaware County. Hours are Friday through Monday 8 a.m. to 5 p.m.
Kelder’s Farm (open now): 5755 Route 209, Kerhonkson, 845-626-7137, Ulster County. Kelder’s also has raspberries and currants, as well as kids’ activities like mini-golf and a petting zoo. 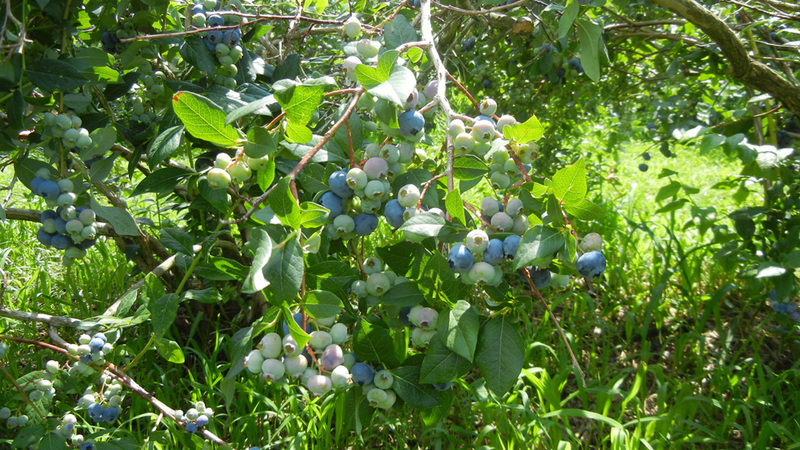 Open daily 10 a.m. to 6 p.m.
To freeze blueberries: Pick through for stems and grass. Do not wash. Spread in a single layer on a cookie sheet that will fit in your freezer. Freeze briefly, uncovered, until solid. Remove from freezer and repackage in desired quantities with a vacuum-sealer if you have one. If you don’t, heavy duty reclosable plastic bags will work just fine, but squeeze as much air out of the bag as you can. 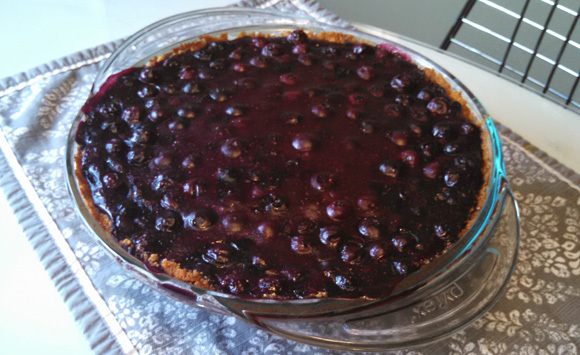 Before you toss your whole haul in the freezer though, here’s a favorite summer pie recipe from Catskill Eats headquarters. It’s blueberry/cheesecake mash-up with lemon and coconut accents, and it turns into a big, gooey, delicious mess. Combine the crust ingredients and press the mixture into a pie pan. Refrigerate until ready to use. Preheat oven to 375 degrees. In a small bowl, beat the cream cheese, confectioner’s sugar and lemon juice until light and fluffy. Beat in egg yolk. Spread into crust, return to refrigerator. In a large saucepan, combine ½ cup sugar, flour and cornstarch; stir in water until smooth. Stir in 2 cups blueberries and bring to a boil. Cook, stirring gently, for 1‐2 minutes more until thickened. Cool slightly; gently stir in the lemon juice and remaining berries. Pour over cheese filling. Bake 35‐40 minutes or until crust is golden brown and filling is bubbly. Cool on wire rack. Refrigerate leftovers.